Here's a superb new online slots game from NextGen Gaming. The doctor is in the house, and he’s ready to prescribe a healthy dose of cash wins! 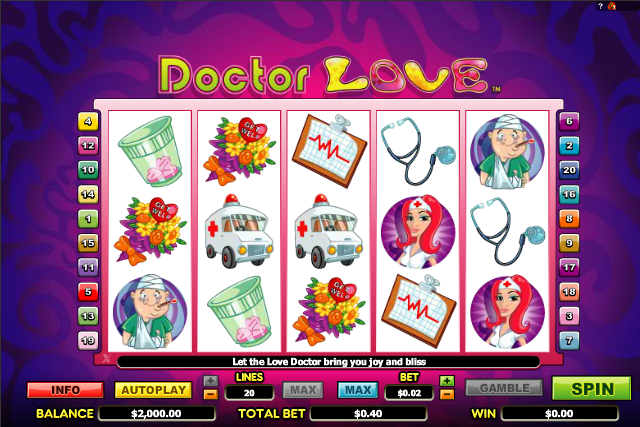 Not many people can say they enjoy a trip to the doctor’s, but all that is about to change, once you try Doctor Love online slot game. Its great features and winning chances are sure to cure your boredom, though you may find yourself in a fever of slots enthusiasm! Like its title character, this slots game is fully qualified to dazzle and seduce you, with no uncomfortable examination required. One impressive facet of their games is the detail in the bonus features, which are always realised in a way that delivers compelling gameplay for slots enthusiasts, but enhances the theme and setting of the game in ingenious ways. WILDS – Dr. Love himself (a dashing chap with a huge blonde quiff and surrounded with an aura of tiny hearts) is the WILD symbol. He substitutes for all symbols apart from SCATTERS. 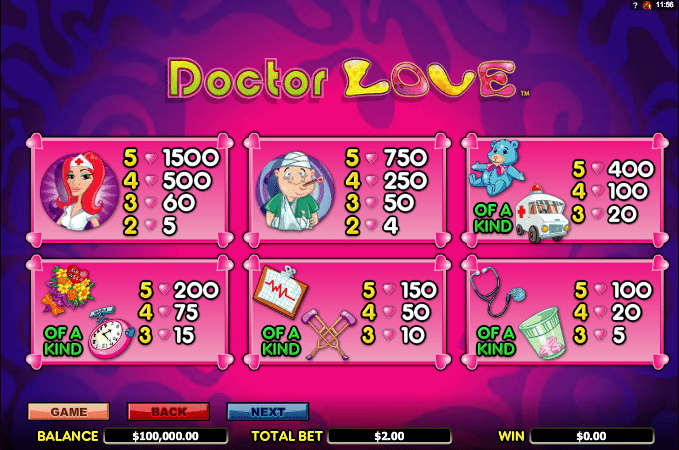 SCATTERS – Dr. Love’s ‘Love Meter’ represents the SCATTER symbol. This very un-medical looking piece of equipment, similar to a thermometer with hearts instead of numbers, triggers between 10 and 20 Free Spins, depending upon how many times it appears on the reels. All prizes during these Free Spins are tripled. GAMBLE – it wouldn’t be a NextGen game without the opportunity to turn your big wins into even bigger ones. Select ‘Gamble’ to choose a card suit or colour, doubling your win for a correct colour, and quadrupling it for a correct suit. 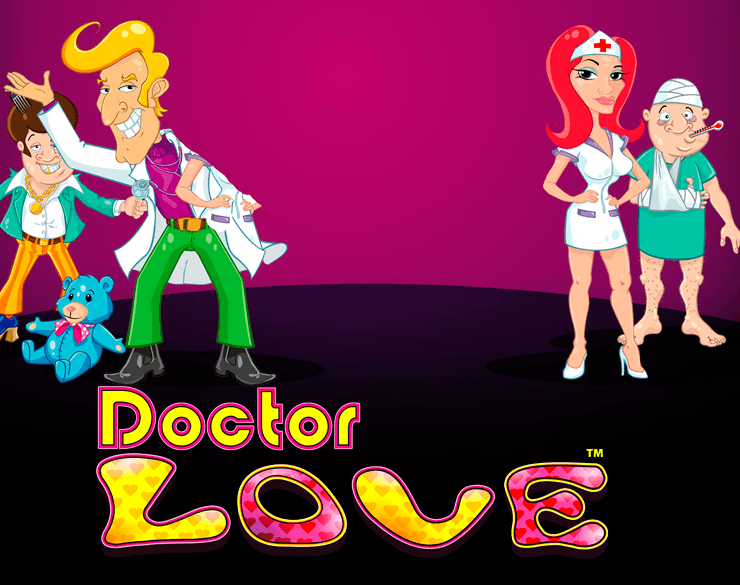 Wins are punctuated by a burst of jazzy music that gives them a great impact, and little animations, such as Dr. Love winking and re-adjusting his quiff, add a great shot of humour. The interface is easy-to-use, with Autoplay for when you want to relax and let the Doctor do his work, and the Gamble button in an accessible place below the reels.